Age 99 of Zanesfield, formerly of Mount Sterling, KY and New Boston, went to be with the Lord, July 31, 2018. Goldie was born August 20, 1918 in Sciotoville to John and Cora (Newman) Morris. She is survived by five children; Nancy (Ora) Jackson of Cardington, Paul (Brenda) Tomlin of Wheelersburg, Thomas (Unita) Tomlin of Eden Park, Sharon (Gene) Warren of Zanesfield, and Patricia (Guy) Coyle of Mount Sterling, KY; 16 grandchildren; 31 great-grandchildren; 48 great great-grandchildren; and one great-great-great-grandchild. 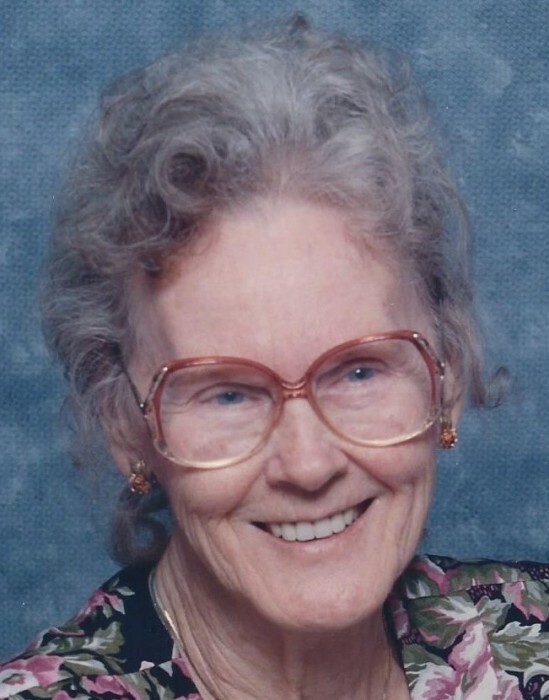 Goldie loved the Lord and was a member of Cedar Street Church of Christ in Christian Union for over 50 years. She will be remembered for her loving heart, gentle spirit, and her talents in crocheting and knitting which she freely shared. In addition to her parents, she was preceded in death by her first husband Claude Copeland in 1937, her second husband Delbert A. Tomlin in 1989, a daughter Helen M. Copeland (Leonard) Jarvis, and infant son, Delbert James Tomlin. Funeral services will be held at 1:00 p.m., Saturday, August 4, 2018 at D.W. SWICK – NELSON FUNERAL HOME in New Boston with Rev. Gary Heimbach officiating. Interment will follow in Sunset Gardens in Franklin Furnace. Friends may call Friday from 5 - 7 p.m. and Saturday one hour prior to the service at the funeral Home. Online condolences may be sent to www.DWSwickNelsonFuneralHome.com.